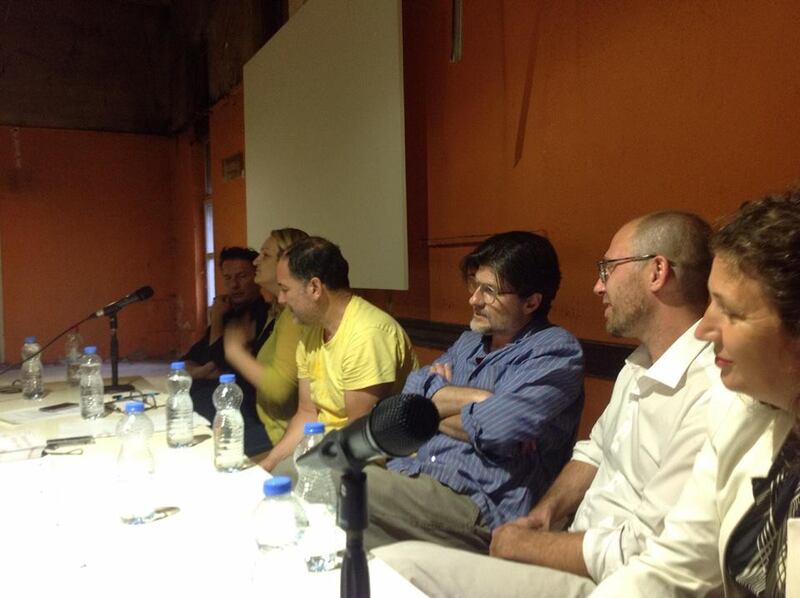 With Branislav Dimitrijević, Daniel Cosentino, Adrian Paci, Besa Luzha, Nita Luci and Pepi Sekulich. Conference ‘Education, Politics and Regional Collaboration’, is part of Summer School as School, a project by Stacion – Centre for Contemporary Art Prishtina. Education, Politics and Regional Collaboration gathers selected artists, curators, political analysts, lecturers and heads of education institutions, in a panel that aims to address intersections between education, politics and regional collaboration. Summer School as School (SSAS) is a guide and an intervention, stationed in Prishtina, designed to unite and disseminate critical knowledge produced by selected professionals about exploring and responding on relevant challenges of today, and about discussing new models and possibilities in education and art collaboration. Summer School as School is a project by Stacion – Center for Contemporary Art Prishtina. in collaboration with Academy for Visual Arts – AVA, Ljubljana. Conference: Education, Politics and Regional Collaboration is supported by Friedrich Ebert Stiftung. Summer School as School is part of the annual program of Stacion - Center for Contemporary Art Prishtna and is supported by : Ministry of Education, Science and Technology of the Republic of Kosovo, Culture for all – phase III, Kosova Foundation for Open Society, Friedrich Ebert Stiftung, Ministry of Culture of the Republic of Albania, Ministry of Foreign Affairs of the Republic of Kosovo, Ministry for European Integration of the Republic of Kosovo, Federal Chancellery of Austria, Austrian Federal Ministry for Europe, Integration and Foreign Affairs, Technomarket, Sindikata, AMM, X-print and DZG.